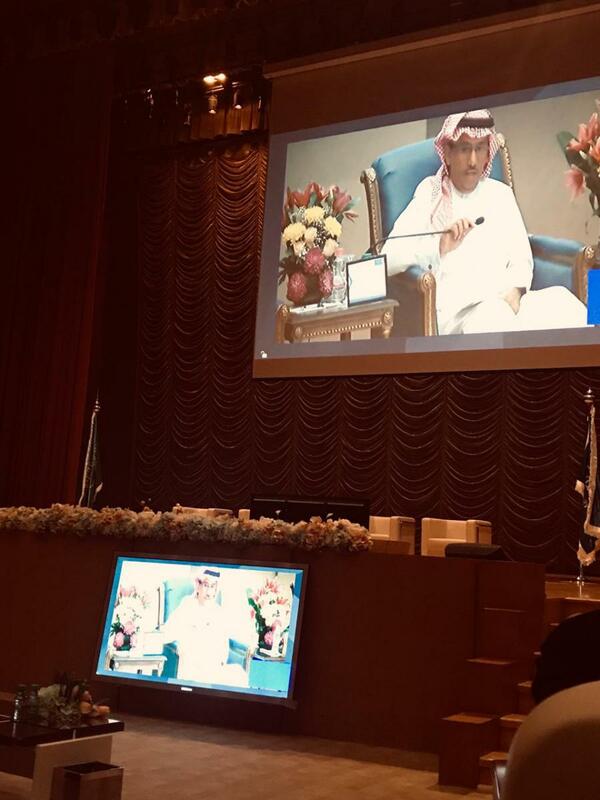 On the 15th of Jan2019, The annual meeting of King Saud University was held between Rector Prof. Badran Al-Omar and students. Meanwhile, there was live streaming on screens of the Female Campus and Common First Year in Olayshah. The meeting was attended by the Vice-rector Dr. Abdullah Al-Salman, Dean of Admissions and Registration Affairs Dr.Basil AlSadhan, and Dr. Fahad Al-Gurainy the Dean of Student Affairs. 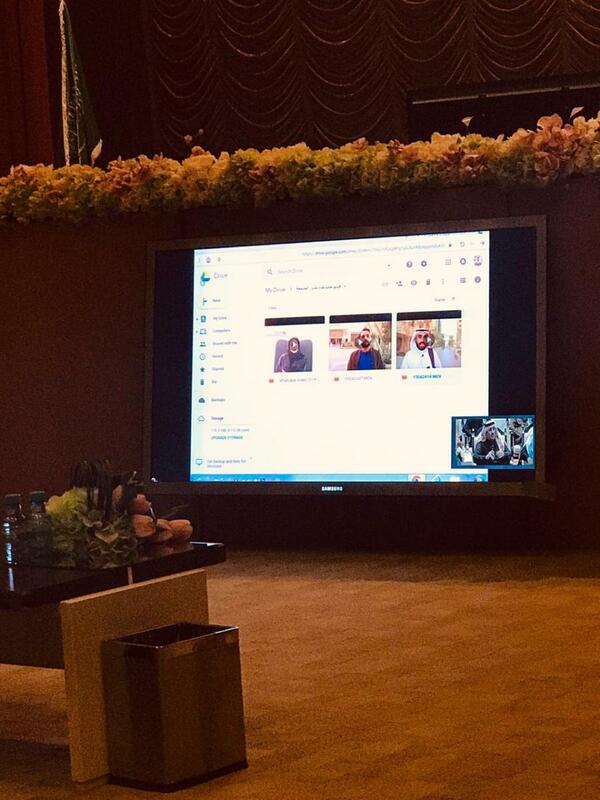 At the beginning of the meeting, Prof. Al-Badran welcomed the participants and emphasized the university's interest to discuss the student concerns and all aspects of educational mobility. 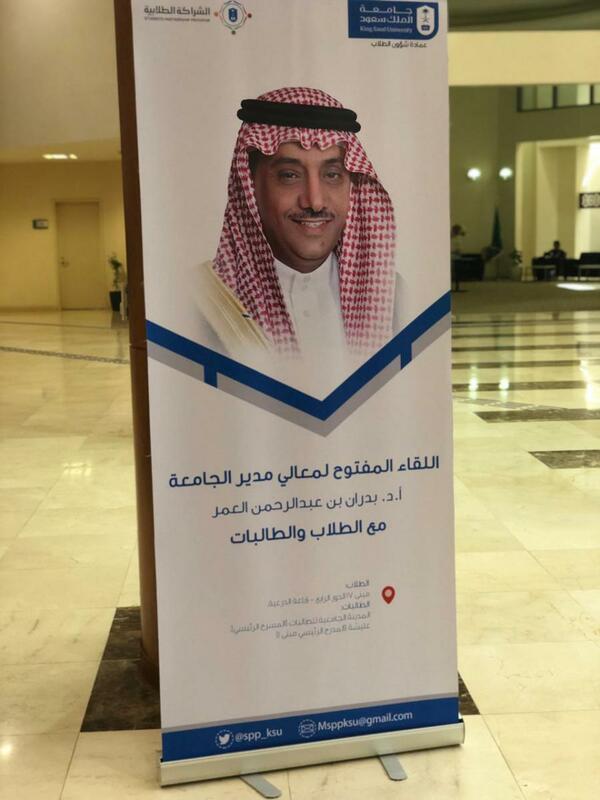 He presented suggestions and opinions about several issues including the practical training, the quality of facilities and services, the academic majors offered to the special needs and the challenges that face them after graduation.